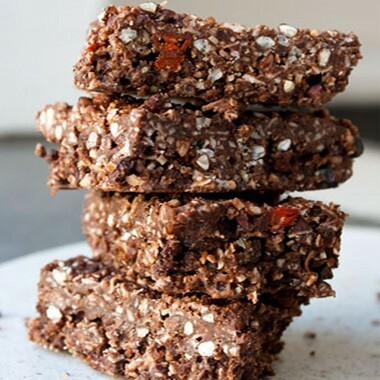 Raw and powdered cacao, coconuts, currants and cranberries blend with activated buckwheat in this deliciously chocolaty ready-to-eat cereal from Loving Earth. Add milk and eat it for breakfast, or take it on the trail as a nutritious hiking snack. Buckwheat is a pseudocereal seed that’s been consumed throughout Eurasia for thousands of years, and it’s gluten-free, high in protein and soluble fibre, full of antioxidant flavonoids, and a good source of minerals including copper, iron, manganese and zinc. 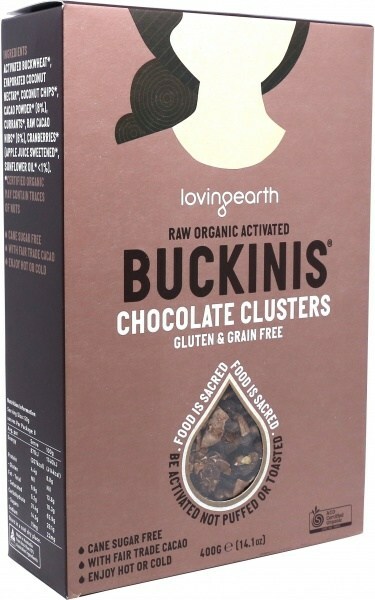 Rather than toasting or puffing the buckwheat in its Buckinis (which tends to reduce nutrient value), Loving Earth activates it through a natural germination process that makes it easier to digest and eliminates enzyme inhibitors that make it difficult for your body to absorb nutrients.